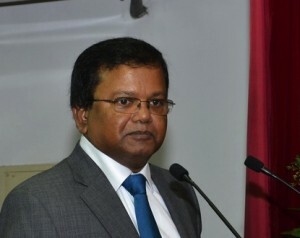 The Rajapaksa regime has directly intervened in the attempts to intimidate the President of the Bar Association of Sri Lanka (BASL), Upul Jayasuriya earlier this week Colombo Telegraph learns. During our investigations it was revealed that Jayasuriya, in the complaint he lodged at the Cinnamon Gardens Police station on Tuesday (July 15), had noted the vehicle registration numbers of the motorbike and the three-wheeler that had followed him for hours – namely 207-5314 and WP UB 4072. Colombo Telegraph learns the Police investigation team had immediately radio-messaged the information to the Registrar of Motor Vehicles (RMV) to check the registration details. Astoundingly, the RMV had responded stating that details pertaining to the two numbers are not available. This response of the RMV is quite baffling and indicates a direct government involvement with the unidentified individuals who tailed Jayasuriya. It has been made abundantly clear that whoever that issued instructions for these intimidation attempts also possesses the authority and the power to obliterate/expunge the registration details relevant to the two vehicles in question, from the RMV software database. Meanwhile, Colombo Telegraph has learnt that despite having the data expunged from the RMV database, the hardcopies of the information (the document files from which the data was extracted and entered into the database) should still be available and hence, should be probed. Although there are no restraints preventing the Police from accessing these files and obtaining the relevant information that is so vital for this case, they are yet to take steps that would enable the probing of the hardcopies of the registration information. The mysterious disappearance of the registration data and the lackadaisical attitude of the Police towards uncovering those behind the offense, are also clear reflections of the government or the military (on whom the Police powers have been vested indefinitely) involvement of the incident. This information uncovered by Colombo Telegraph has also led to revealing these two vehicle numbers are not bogus. If they were, the Police should ideally be able to track down the real owners of the vehicles that bear the same registration numbers. But in this instance it was found by the Police that no such motorcycle or a three wheeler bearing similar registration numbers exist. Meanwhile, Rajapaksa state-owned media has been circulating false information alleging adequate security has been provided to President of BASL.